These dog bone shaped pet tags are almost as cute as your dog. 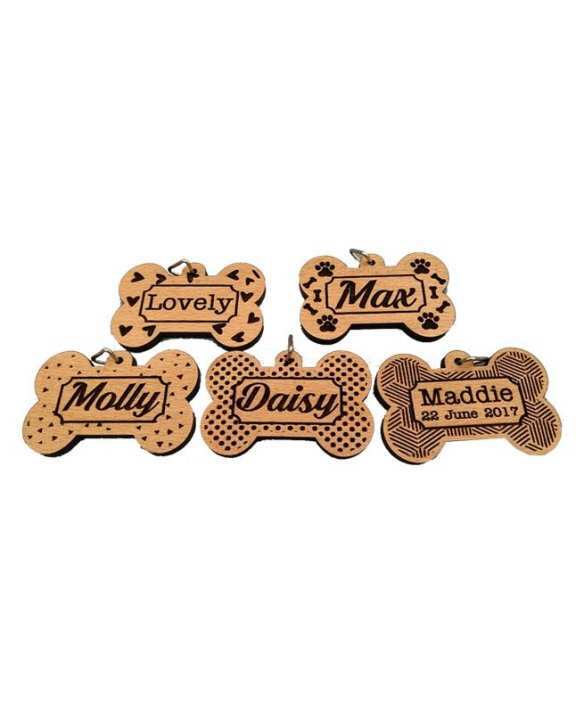 Each tag is made from highest quality imported wood and comes with a chrome split ring for hooking it on to your dog's collar. Each piece can be customized with the dog's name at the front and the owner's phone number at the back. This makes it the perfect homing signal for a dog who has lost his/her way. sir I want to so I name??? ?